Though you may be skeptical because of the title, at the heart of it, My Sister, The Serial Killer is a family story. Beautiful, creative, and flighty Ayoola has a bad habit of ending her relationships by killing her boyfriends. Korede, her opposite in every way - plain, practical and tidy - does what any big sister would do; she helps Ayoola dispose of the bodies. But then in a shocking betrayal, Ayoola pursues the man Korede has always loved from afar! Gasp! 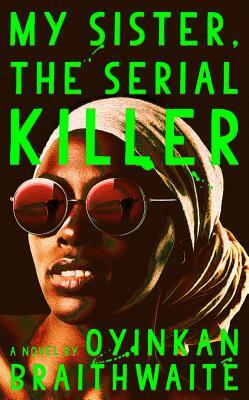 It’s hard to believe how much Braithwaite has fit into a few sparse chapters; a rumination on the lengths we go to for those we love, a moral lesson about what we let beautiful people get away with, and a nail-turning, page-biting, novel about a serial killer and her unwilling accomplice who you’ll easily find yourself empathizing with (especially if you have a younger sister).